Hello, I am Dr. Christopher Daniel of Santa Rosa and Rohnert Park Oral Surgery. I am a board certified oral and maxillofacial surgeon, dentist, and medical doctor. When patients come into our office, the question we are most often asked is, how do I know if my wisdom teeth need to be removed? The answer to that question can be surprisingly simple. If your wisdom teeth have grown into your mouth into a position that cannot be cleaned with normal home hygiene efforts, such as brushing or flossing, you should consider having them removed. By the time all of your adult teeth have developed and erupted into the mouth, the wisdom teeth, which are the last of the adult dentition to develop, do not have enough space to grow. When you can’t properly clean these teeth, you are more likely to develop dental disease, such as cavities and periodontal disease, which can cause inflammation, bone loss, and infection. Other conditions that warrant wisdom teeth removal include the development of cysts and tumors. However, this is rarely the case. While the thought of having your wisdom teeth removed may sound scary, our skilled team will make sure that you are full informed and comfortable prior to your procedure. Before removing your wisdom teeth we will perform a thorough clinical examination and X-ray evaluation of your jaws and teeth and a dental CT scan if necessary. We will present you with your options for extraction and develop a plan for removal that you will feel comfortable with. Our practices provide a variety of options to ease any pain or anxiety during your procedure, such as local anesthesia, laughing gas, and IV anesthesia. The procedure for removal of wisdom teeth is usually quick with the removal of all four wisdom teeth in about 30 to 40 minutes on average. 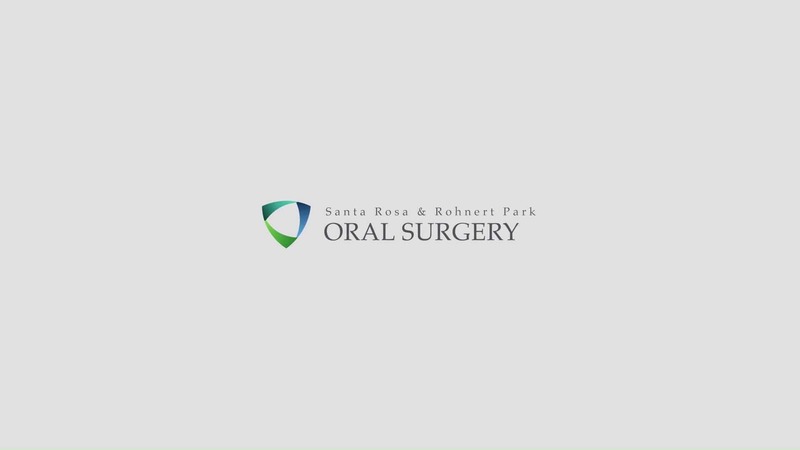 For all of your oral surgery needs, please come to Santa Rosa and Rohnert Park Oral Surgery. We perform wisdom teeth removal, general extractions, dental implant surgery, and many other reconstructive surgeries. We service all of Sonoma, Montecito, Lake, Napa, and Marin counties, and look forward to caring for you at one of our state of the art oral surgery facilities. If you have any additional questions, please feel free to call our offices. Thank you. Because wisdom teeth are the last to develop, they are often “impacted.” This means that the tooth cannot fully enter the mouth. The tooth is blocked, typically because there is not enough room in the mouth. There are different types of impaction/blockage: 1) Partially impacted—only a part of the tooth is able to enter the mouth and be seen. 2) Completely impacted—no part of the tooth can emerge into the mouth (can be seen). A completely impacted tooth may be further complicated by being completely covered by bone. Nine out of 10 people have at least one impacted wisdom tooth. Why is an Impacted Wisdom Tooth a Problem? If left in the mouth, impacted wisdom teeth can lead to a variety of problems. This area of the mouth is very difficult to clean, so impacted teeth are prone to bacteria growth, gum disease, and infection—even with good oral hygiene. These problems, in turn, can lead to infection, pain, crowding and/or damage to adjacent teeth. Furthermore, there is good evidence that oral bacteria from this gum disease can travel through your bloodstream and lead to bigger health problems that affect the heart, kidney, and other organs. But my Wisdom Teeth Feel Fine Right Now! There is a large amount of research that proves that the longer wisdom teeth remain in the mouth the more likely they are to cause problems. As wisdom teeth develop, their roots grow longer and the jaw bone grows denser. This makes removal more difficult and more prone to complications. Wisdom teeth rarely contribute to function, so waiting for problems to occur makes their removal more difficult, surgery more complex, and pre-operative pain/suffering more significant. Researchers strongly recommend that in order to prevent future problems, wisdom teeth, even those that appear problem free, be removed in the teenage years or early adulthood. During your consultation, your surgeon will take a complete medical and dental history, examine your mouth and take/review x-rays of your teeth. These x-rays will reveal the presence and position of the impacted teeth, curved roots, and the proximity of tooth roots to vital structures (nerves, blood vessels). This will help your surgeon fully discuss the complexity of your surgery, the risks and benefits of extraction for you, review anesthesia options, and help you plan for your recovery. You will also meet with our financial counselors so that you can be fully aware of your insurance benefits and costs. This is a good time to ask questions and talk to your surgeon about all your concerns.